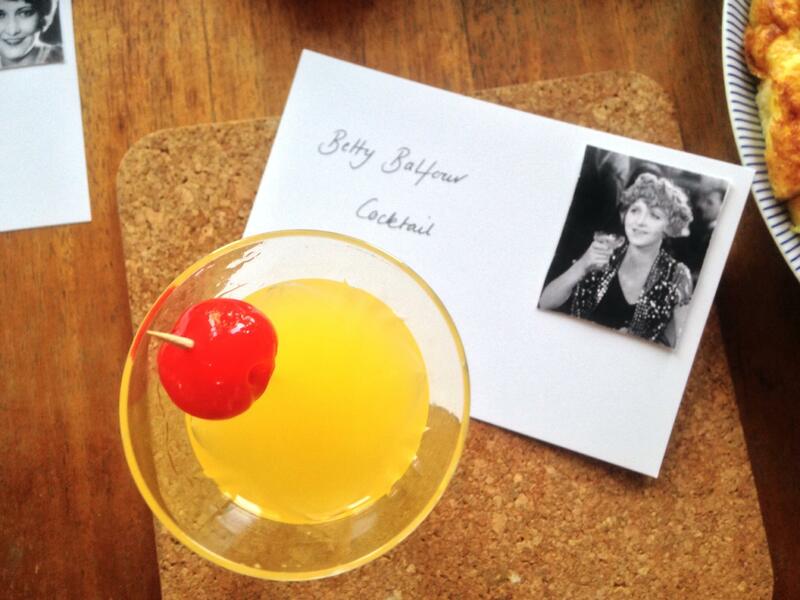 Speaking of which, knock back more than one Betty Balfour cocktail and you would definitely be utterly Squibsy. Joan Crawford‘s rich and creamy dip, which as Caroline Jones pointed out, tasted like nothing so much as McDonald’s. The jury is out as to whether it was evoking a Big Mac, or a Filet-o-Fish, but we suspect it’s all in the gherkins. Talking of pickles and Crawford, her little sword-skewers of folded salami and pickled onions were hugely popular. The prettiest canapé on the table had to be Dorothy Sebastian‘s anchovy canapés, adorned with chopped boiled egg, the white and yolk separated by a single caper. Classy. … which nevertheless could not quite edge out Janet Gaynor‘s delicate, moreish ice-box cookies in the contest for best sweet. Who on earth is Anne Knight (Jenny, please help) and why would anyone want to eat her offering of iced bouillon, ie cold veg stock laced with sherry? One must take one’s hat off to Knight, though: the bouillon was accompanied by some astonishing canapé craft: finickety bouquets of baked bread and butter called imperial sticks. 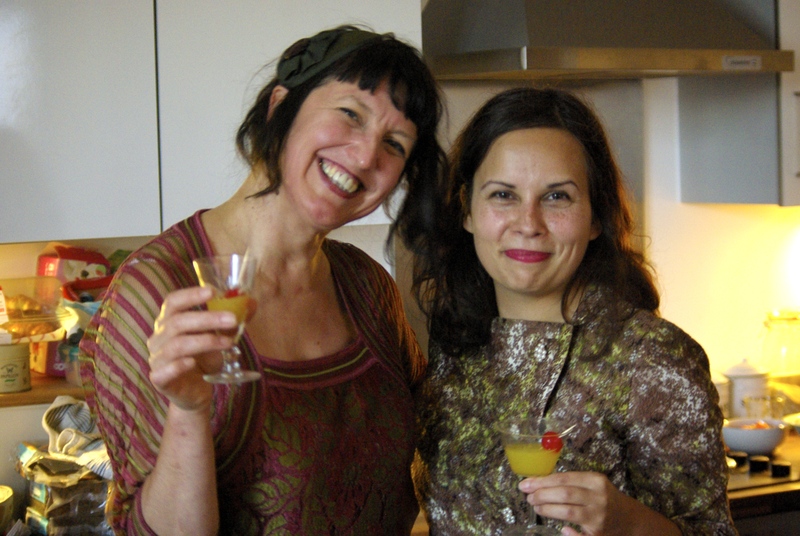 Now pour yourself a drink and enjoy these snaps of the evening, and the food! 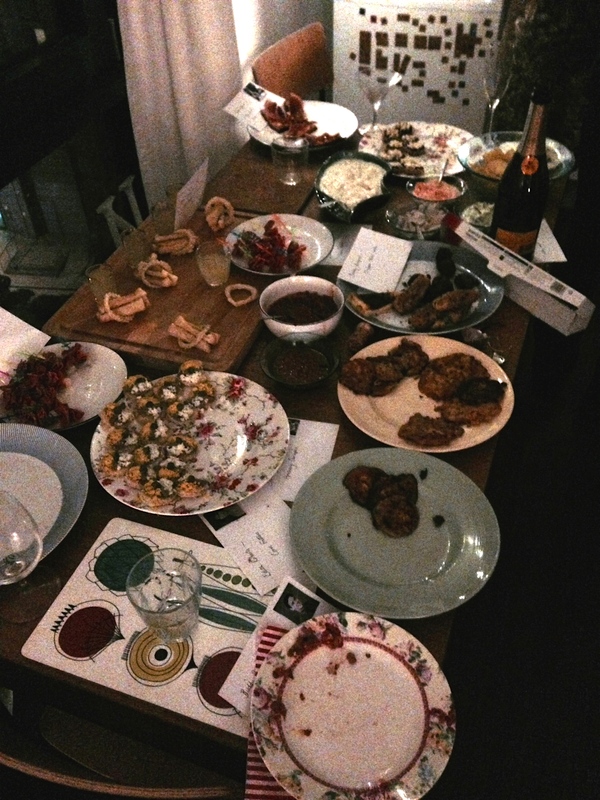 The party ended in the best way – thanks so much to our elegant and generous hosts and best of luck with the books! 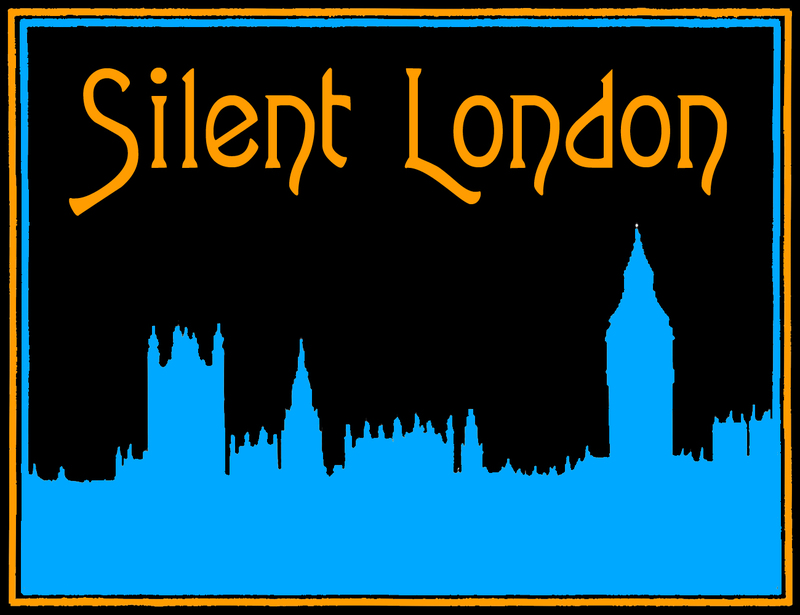 Ah, Pamela, thank you so much for a wonderful write up of our Silent Stars Cocktails and Canapes Party. It really was a humdinger. I am ashamed to say that I am a very bad film archivist, I should have double checked my facts about Anne Knight. I blame my new contact lenses for the fact that I misread the name of the star who proposed the (quite frankly gruesome) Iced Bouillon. It was June Knight, not Anne Knight and of course, June was not a silent star. She infiltrated our menu with her crazy cold vegetable stock offering! The Imperial Sticks were cute though. Note to anyone who is considering this – when an optician proposes that you wear one contact lens to correct your short sightedness and one to correct your long sightedness, you won’t be able to see anything much at all! Thanks Jenny. All clear now – as one Mr Magoo to another I sympathise with your mixup. So glad also, of course, to learn that iced bouillon is not actually a staple of silent era parties. Phewee. 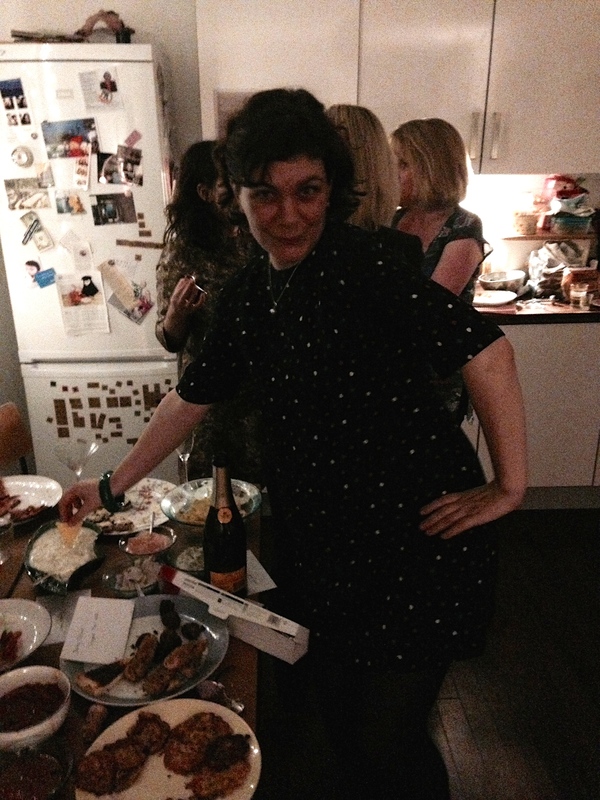 And thanks for all the lovely nibbles and drinks, too!